For a man who consistently refuses to speak the language, actor James Norton can't leave Russia alone. He made a fetching, if not exactly voluble (and, like the other actors, exclusively Anglophone) Prince Andrei Bolkonsky in the BBC's notorious 2016 adaptation of War and Peace. Already in the home-grown Yorkshire police drama Happy Valley (2014), where Norton plays a homicidal psychopath, we note which book his character grabs in order to pass for a soft, fuzzy, studenty type: War and Peace. A subtle in-joke? A heads-up to viewers? (In a previous post, I've discussed how the BBC cunningly deploys Russian classics as clues to the real identity of baddies. This is an ever-growing list). In the 2018 oligarch drama McMafia, a high-profile co-production between the BBC and AMC, Norton plays Alex Godman, the 'handsome, rich, and eligible' (in his girlfriend's words) only son of a minor Russian oligarch, now living in exile in London. The elder Godman, played by Alexei Serebryakov, intrepidly drinks vodka from an Evian bottle, especially when driving; behaves inappropriately with everyone (including the ducks in the park); and switches between just two emotional settings: melancholy sentimentality and raging grief. (This role is essentially a reprise of his part in Leviathan, even down to both men's real estate woes - in each plot, Serebryakov's character has been pushed out of his home by a bigger player). Rather than regretting the loss of a bricks-and-mortar property, Serebryakov's McMafia character mourns for all Russia, which he can never re-enter on pain of assassination. To compensate, he insists on speaking exclusively in Russian to his adult children. Young Alex, on the other hand, is an ethical banker with his own fund, which he refuses to invest in Russian interests in order to retain his reputation for probity. He never responds in Russian to his dad, usually citing the presence of his monolingual English-rose girlfriend Rebecca (Juliet Rylance) as an excuse for using English only. His father, unable to object, mutters that Alex speaks Russian like a six-year-old child - the age at which his son left Russia. Both Godman Sr's slur, and Alex's determined silence, contradict current research. Heritage speakers of Russian (like the Alex Godman character) do lose language-specific morphosyntactic structures in the L1 (here, Russian), but evidence shows that these tend to be minor vocabulary errors rather than incorrect grammar, particularly when the L1 has been used consistently at home. * Odds are, therefore, that instead of doing a Tyutchev, so to speak, Alex and his sister should be well away with the cúpla focal. Moreover, the BBC is very proud of its decision to use Russian actors (speaking Russian with English subtitles) in McMafia, thus saving the world from cod Slavic accents yet again. (I was slightly disappointed that the Mumbai drug runners spoke the Queen's English instead of Marathi, but I suppose one can't have everything at once). This is why Serebryakov, Maria Shukshina, and others have been hired. Even Alex's preferred martial art is the intimidating Russian Sistema. So why is the man so tongue-tied? In all of episodes 1 and 2, he manages one word in Russian: "Da". At the end of Episode 3, he really goes for it, with two words: "Nichego, Papa." How a man who braves death threats while buying milk can be afraid of speaking Putin's Russian is beyond me. In any case, it will be fun to watch the BBC negotiate the challenges of bilingual filming as the series progresses. The Platonov Puzzle - a new Ludlum title perhaps? Will Alex speak THREE Russian words in a row? Will the English subtitles continue to be amusingly inaccurate? Why does Alex's dad have a Platonov anthology stashed in his bedside drawer next to love letters from his mistress? Where are you taking my girlfriend's passport? 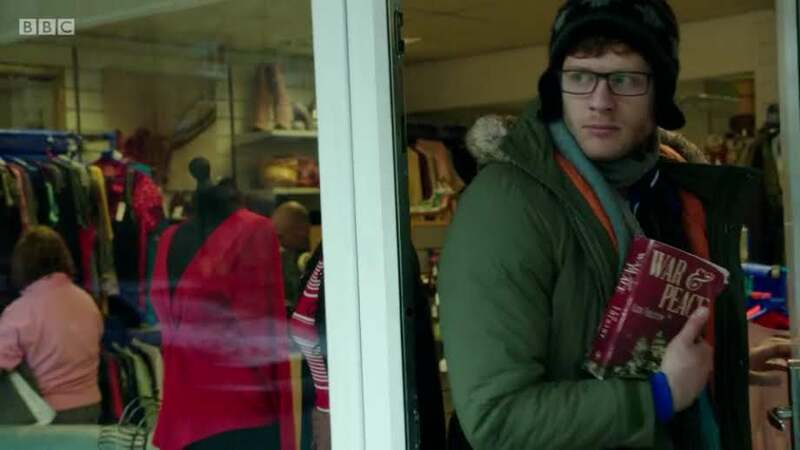 My own suspicion is that James Norton's silence, in character, is simply the logical continuation of a new acting style characterized by extended, awkward reticence and by facial expressions finely calibrated between quizzicality, blankness, and constipation. Ryan Gosling and Tom Hiddleston (the star of another BBC series, 2016's The Night Manager, with which McMafia is readily compared) are both trend leaders. 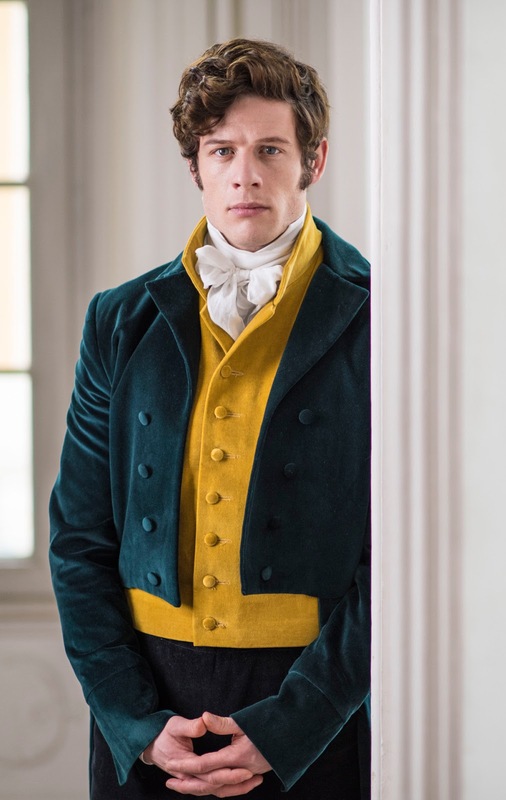 In this series, James Norton spends most of his screen time not saying what we certainly hope he's thinking (Stop sitting on my uncle! Where are you taking my girlfriend's passport? What bloody man is this? Take your hand off my nose, etc) and instead, working truly hard on looking completely blank. It's exhausting just watching him show no expression at all. Or perhaps he's just really, really keen on Tyutchev. (Nabokov's translation of Silentium can be found here). Excellent! Though I have to disagree about Ryan Gostling. He has an uncanny ability to convey meaning through varieties of stillness. Very few actors can do this. Mifune offers an object lesson in The Bad Sleep Well. On occasion, Adam Driver achieved something similar in Silence. But Gostling is modern master of meaningful inaction. Thanks for the kind word and comments on 'meaningful inaction', Colin Higgins - I'm very good at this myself. The dinosaur enjoyed reading about the Ferguson archive initiative today! Brilliant! What's next for our James, I wonder. How about Pechorin?